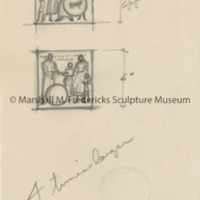 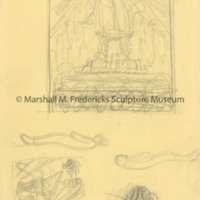 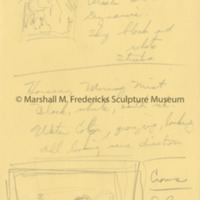 Unidentified sketches for relief featuring reclining figures, possibly religious in nature. 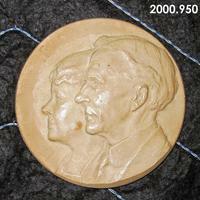 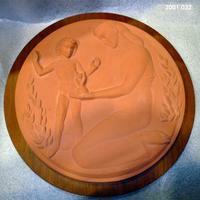 Plaster relief of obverse side of medallion. 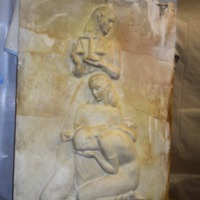 Relief depicts a woman on her knees holding a pland in her hands. 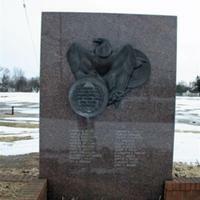 A small child is at her side with arms outstreatched. 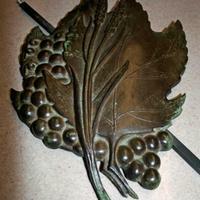 There are plants on both sides of the relief. 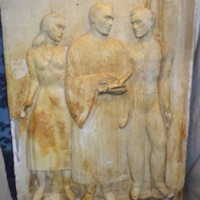 Writing around the relief says "Mary Soper Pope Memorial Award, Cranbrook Institute of Science." 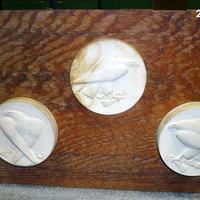 Three plaster small round eagle reliefs on a wood base.